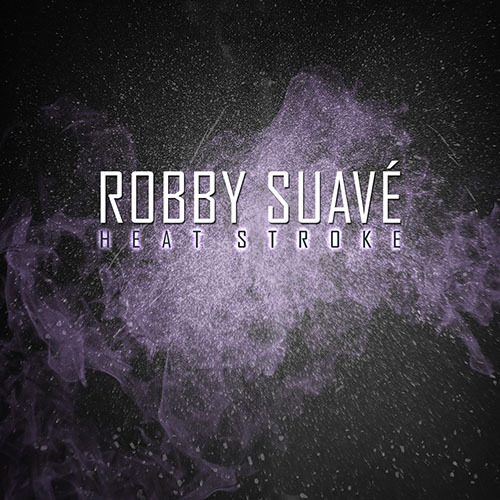 My new album Heat Stroke came out 3 years ago! It was unleashed unto the world on January 27th, 2015. I wanted to document the writing, recording, and preparation for release of the album. You know, just in case someone cares. I think I genuinely care, but maybe there are others out there that might be interested. Some of this might have already mentioned in the Recording Heat Stroke series, but this should be less fluffy. I’ll preface this by saying I’ve rewritten this retrospective once completely, and again once or twice partially. Originally, I talked a little bit about each song in the order that I remembered working on it. I thought it would be more interesting that way, but after reading it over, I decided that wasn’t the case. And that’s mostly because for about half of the songs I wasn’t absolutely sure when I started working on them. Or if I did remember the order, I was going back and forth between them all the time, so it was hard to say which I really started in which order. Anyway, I’ve since reworked this so that the songs are talked about in the order that they appear on the album. Enjoy. 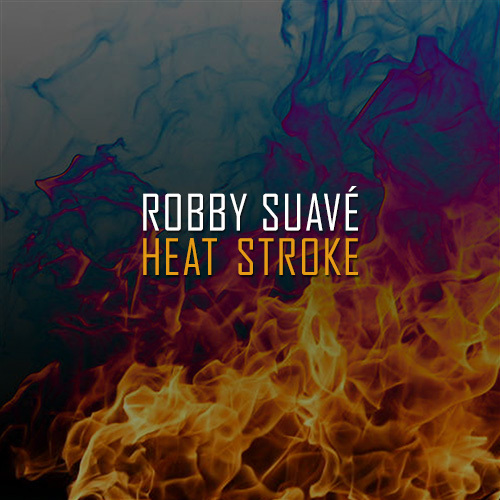 Heat Stroke began its life one day in June 2014 (I think) when it began to warm up outside. For absolutely no reason, the phrase “hotter than a mothereffer” popped into my head randomly. I sort of laughed to myself, again without reason. It’s also unknown to me why I thought it would be an especially good song title. But then that almost immediately spawned that repetitious chant you hear in the final version of the song. The guitar riffs came quickly and easily as well. Back in July of 2014, I posted a live recording (possibly the first real attempt of doing so for this song) of me “singing” it while playing the guitar parts with a backing drum track. I did that for up to half an hour a day for a week probably. It was simply hilarious to me: playing that riff and muttering and yelling “It’s hotter than a mothereffer in here!” as many different ways as I could. At that time, I was a little scatterbrained. I’m not entirely sure why, but I do remember that being the case. So this whole “Hotter Than a Mothereffer” thing felt good to get my mind off of things. That song immediately led to “Burn It Down (Repetition of the Competition).” Musically, it’s one of the more elaborate, technical songs on Heat Stroke. The structure isn’t exactly sophisticated though, but that was on purpose, so it’s okay, right? It begins in a logical way, but then there’s a weird heavy part that breaks everything up. I don’t know. I think I’ve just realized that I find it difficult to talk about my own songs. It seems like if I explain any of them too much, I will come off as pretentious or something. Obviously “Burn It Down” isn’t a magnum opus or anything, but it doesn’t have a cookie cutter song structure either, for better or for worse. You know, I’ll say it might benefit from a more traditional structure. I could have made it that way, but I didn’t. Whatever. Here’s an early version of “Burn It Down.” It didn’t change a whole lot by the time I was done with it, like most of my songs, but feel free to listen anyway. “Countdown to a Breakdown” was probably the next song I started working on. And it came about similarly to “Hotter Than a Mothereffer.” It just started with a phrase and then a riff…and there it was. It’s not a coincidence that those two tracks are the second and second to last tracks on the album either. As I will detail later on, the order of the tracks was very deliberate. Anyway, I loved the sound of “Countdown” from the moment I came up with that main riff. And then I felt like getting a little swing/country-like with that little swing/country-like part that comes after the verses. Next was “Novelty” probably. It’s a simple song, but it has two characteristics that I don’t think I’ve ever done. One, structurally, the second half of the song is just a heavier version of the first half. The lyrics are the same, and guitar riff is even basically the same. It’s nothing that hasn’t been done before in the world, but I’ve never done a song like that. Two, the first half of the song is almost solo singing. There’s some ambiance going on, and some guitar and crappy synth comes in, but the focus is on the singing, which is something I’ve never done before. I’m not saying it’s a good thing, just that I’ve never done it before. After those four songs were done, I’m not entirely sure of the order I completed them. I think I just got some ideas started all around the same time, and then fleshed them out as I felt like it. “I’m On Fire” began its inception as a song in the vein of “Burn It Down” with a tentative title of “My Ship Has Sailed.” I wanted to do a more straightforward song with various parts that sounded good together (No, I do not always do that. Yes, I probably should.) Now that I think about it, this was another song that I jammed out on early on, like with “Hotter Than a Mothereffer” and “Countdown to a Breakdown.” I had that drum beat looping along with the bassline or whatever, and I’d come up with vocal patterns and noodle around on the guitar. I have to say that if any of the songs on Heat Stroke didn’t meet my expectations, it would be this one. If the second half of the song feels off, that’s because originally, there was a chorus. I wish I had a version of the song with the chorus in it to showcase here, but I apparently didn’t save one. I have the guitar recordings for the chorus and the drum parts, but yeah, I can’t really make much out of that now. It wasn’t anything exciting. Obviously, since I took it out. But that’s why the song just sort of goes into another world at the end. I like the end part, but…yeah, it is what it is. Let’s see…”And so the Ice Melts” might have been the next song I dove into. It has an interesting musical story, at least compared to most of my songs. Sitting in my chair, I was playing guitar just to play it, and the high pitched guitar part that plays during the “with or without you” parts just came from my fingers. It might have evolved a little, but the note progression just felt good and didn’t change much from the first time I played it. Kind of neat. I thought it sounded kind of sad, so I wrote a sad song. After it was done and mastered, I did wish I would have done a little more with the drums, but other than that, I’m mostly happy with it. “A Little Disco” eventually came into the fold, Not that I’ve received much feedback, but this song seems to be a favorite. 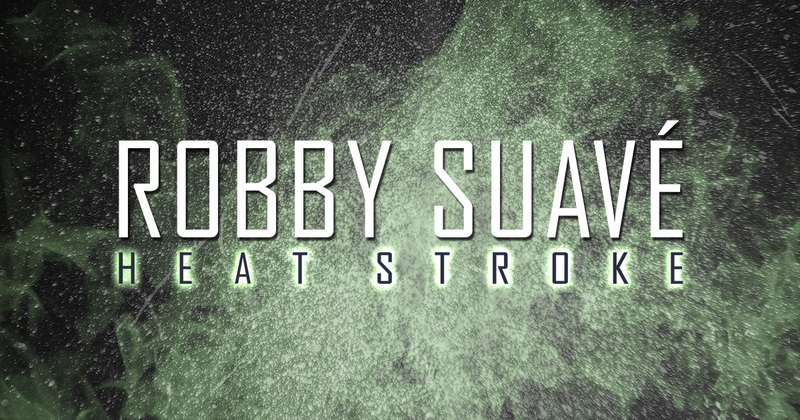 Now, I appreciate that people gravitate to any of my songs, but it’s a little discouraging that this one stands out from the other songs on Heat Stroke. Why? Well, because this song probably took the least amount of time to put together, so it feels weird to be proud of something that you didn’t take as much time with as the other songs. I didn’t just throw it together or get it done in an hour or anything, but there wasn’t a huge amount of planning that went into it. And maybe I should just learn from that and not cry about it, because maybe that’s what I should do more of: more off-the-cuff, fun stuff. Another reason why this song doesn’t sit super well with me is because the album version is quite a bit different than the original version, which I actually do have an mp3 of. It sounds like crap, but it’s probably the very first version of that I ever rendered out. What’s so special about this early version? Guitar! Yes, there was guitar in the original version, but I decided it didn’t sound good and replaced it with some synth. There was even a guitar solo, or something like a guitar solo, in the middle. Again, it was probably the right decision to do that instead of figure out how to get the guitar to fit better, but…yeah. Looking through all the old project files, I can’t find much in the way of more unheard tastiness. Let’s see…here’s an early version of the intro. I kind of wish I used this one. It’s been nearly 4 years since I began writing Heat Stroke, so it’s hard to remember everything. I feel like I started feeling crappy at almost the exact same time that I started recording. And since I put a self-imposed deadline on getting the album out, some of the songs didn’t turn out as well as they could have. The last semi-interesting thing I can post is the original version of the cover. Fun fact: I didn’t end up using it because I couldn’t remember where I got the photos from, so I didn’t know if they were okay to use or not. The final version of the cover is this sort of abstract thing. As much as I don’t love most of the music, I think I am satisfied with the cover art. Oh. And for some reason, I had this alternate purple version of the final cover that I was going to use for some special edition or something. I don’t know what I was thinking. Kind of cool though, maybe. So yeah, that’s about it. It’s probably safe to say I listen to my music more than anyone else. And not that my opinion of it is anymore valid that someone else’s, but I don’t really like Heat Stroke. I don’t like it as much as my other albums for sure. I don’t know what it is, but I can pick out all the imperfections in it. And I can remember trying to fix as much as I could in the post-production phase. I had some kind of digital recording issue that created a weird hum. The processes used to remove it is what leaves that nasty garbly effect that you can hear in the mix. Ugh. Personally, I think all the songs are skip-worthy except for “Countdown to a Breakdown.” I’m sure I talked about it in a blog post (see below), but at least in my head, that song says so much yet so little at the same time. The countdown started certainly, but I can’t say it has ended yet. I began typing this up weeks after Heat Stroke was released, thinking I’d post it to celebrate its 3-month anniversary or something. Yeah, that didn’t happen. Then I thought I’d save it for the following January…nope. The January after that? No. I worked on it little by little until it got to the point where, like I said previously, I don’t recall all the minute details about the production of it. But hey, I just discovered that I wrote a 12-part blog series on the recording of Heat Stroke. Holy crap. Anyway, this is still going up late, but only by a couple weeks (and a couple years, but who’s counting? ).